Defining the latest trends in designing and planning workspaces, as well as clients' needs, are no longer aspects that only concern consultants, architecture and interior design studios.Construction companies, industrial suppliers, and even companies from traditional industries, are already part of a phenomenon that is constantly evolving and, as stated by the CEO of Vía Construcción, José G. Osorio, “in less than a decade, many of them have made the well-being of their workers a fundamental part of their work philosophy.”. Although as stated by Eduardo Santos, CEO of SDV & Partners, “the trend of new workspaces is moving towards a fast track model, with increasingly dynamic environments that promote collaboration between workers", the office often follows a preconceived image in the collective subconscious. “It's about changing the rules of the game and tackling the project in another way, based on the elements that make up the space", said the partners and founders of Álvarez Sotelo Arquitectos, Jorge Álvarez and Jorge Sotelo, who believe that it is fundamental to know how to detect each client's needs and understand the design of the space as a tool to achieve its objectives. And it is that, as is happening in residential architecture, where each room responds to a different need, the same thing must happen in workspaces. Until the appearance of the open space concept it was the architecture itself that defined spaces and uses in offices, now there are many more aspects involved.From the most tangible, such as furniture or vegetation, to others that are 'invisible' but no less important, such as lighting or technology. 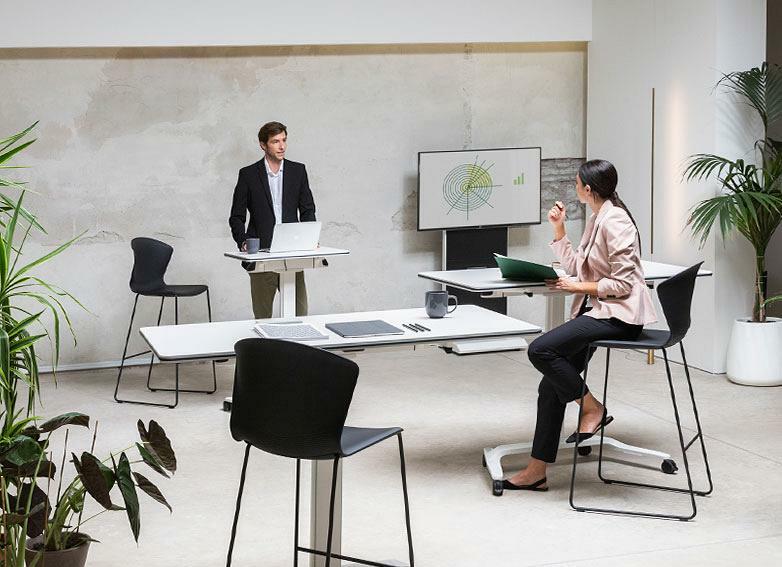 “In an increasingly open-planned work space, furniture is a tool that allows people to collaborate better, socialize or, on the contrary, have more privacy, and even learn”, states Soledat Berbegal. For Actiu, Consultant and Director of Reputation, furniture become tools that must be adapted to people and not the other way around. 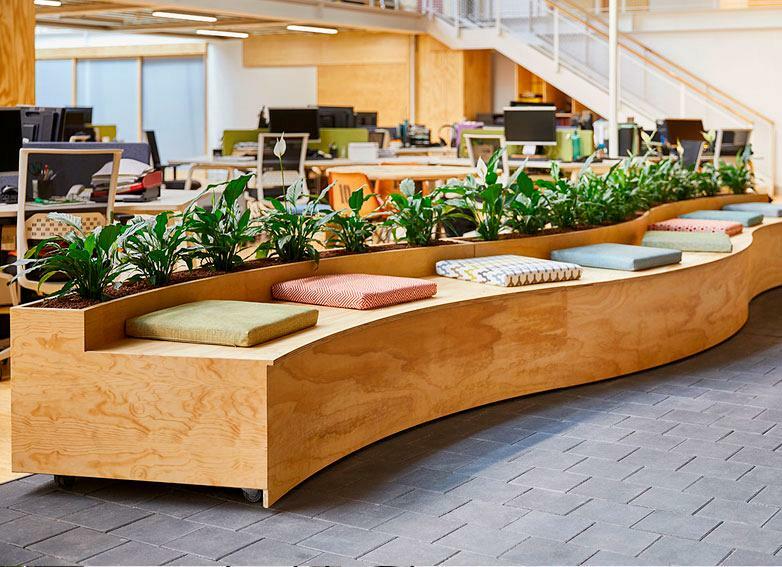 “Furniture separates environments, acoustically absorbs conversations and provides meeting and socialization points", she adds. Furniture has ceased to be an object, it is now a tool, as shown by Actiu Next.This technology, integrated in the furniture and based on intelligent IoT sensors which are connected to the Internet, provides real data for optimizing the well-being of the user and achieving a more efficient relationship between furniture and people. The collective, mobile, foldable, stackable and raiseable table system, Talent; and the versatile and light chair for meetings, Whass, are some of Actiu's most recent commitments to new workspaces.Both can be seen in the company's showroom in Madrid in a space provided by Grupo LAR. At Ubbica the quality of the environments in the workspaces is emphasized, and how the commitment to open spaces must be accompanied by use policies that deal with problems such as noise or ventilation.For this, and as pointed out by its CEO, Jose Luís Bescansa, and the architect, Marina Porro, “it is essential to avoid endless open space spaces, breaking them up with informal rooms, small meeting spaces or offices that reduce their size to make them more inviting”. Incorporating nature into buildings, through patios or even rooftop terraces that become the fifth facade, is essential if you want to generate well-being and promote sustainability.With an increasing prominence in corporate architecture, good landscaping makes outdoor spaces often more important than the building itself. For Carlos García Puente, Partner and Project Director of Liquid Ambar, not only plants, but also light and how it enters the interior influence worker comfort and motivation. “It is not about building a square or a constructing a garden, it is about implementing techniques and involving people" says the architect, for whom it is essential to move away from the 'false biophilia' of the vertical garden and artificial vegetation. 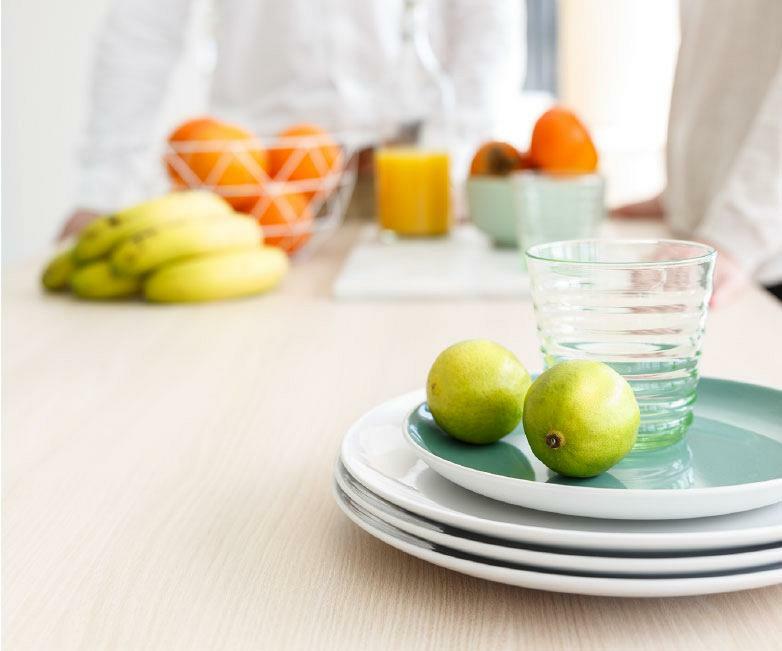 “We spend about 40% of our time at work, so it is essential to look for environments that produce well-being”, states Pablo Méndez, of Tarkett, who highlights the high commitment of workers to the environment; 70% value that the company they belong to is sustainable. 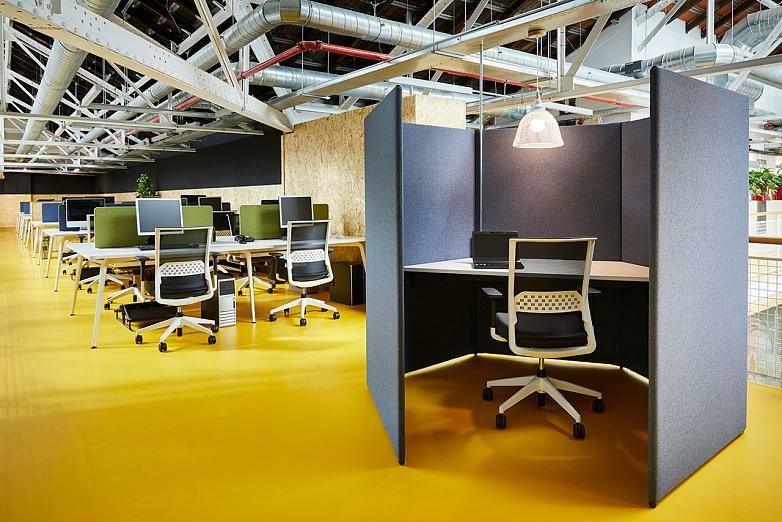 And it is because, as confirmed by Albert López, of Somfy, “there is increasing interest in achieving healthy work environments, with optimal natural light, ideal temperature, healthy ventilation and acoustic comfort”. 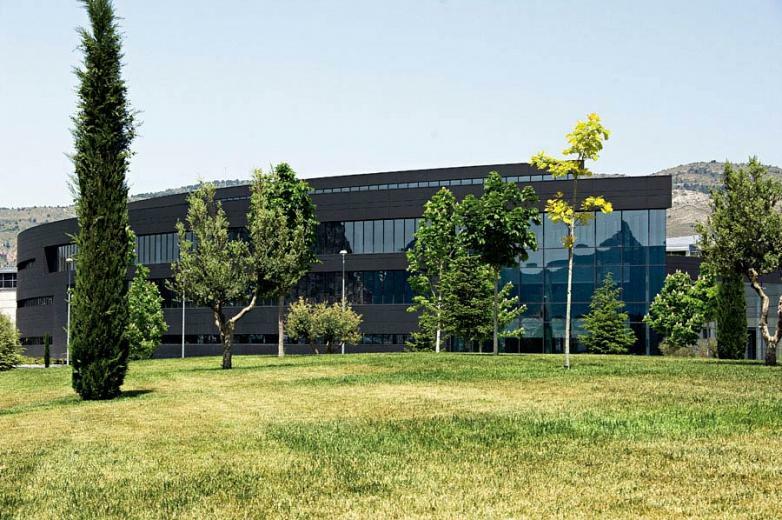 “The perspective has changed, and if before the financial crisis companies were interested in certifications such as LEED or WELL for speculative reasons, now there is a real concern about sustainability and the environment”, states the architect Claus Spix, of Chapman Taylor. If we take into account that the cost of people is the highest for any company, investing in their workers is beneficial for all of them. “The way of working has changed, and if before people were considered tools, now the employee experience is fundamental”, explains Bárbara Recio, head of Workplace Strategy at Savills Aguirre Newman, who identifies three environments; physical, technological and cultural, as being responsible for the “worker experience”. 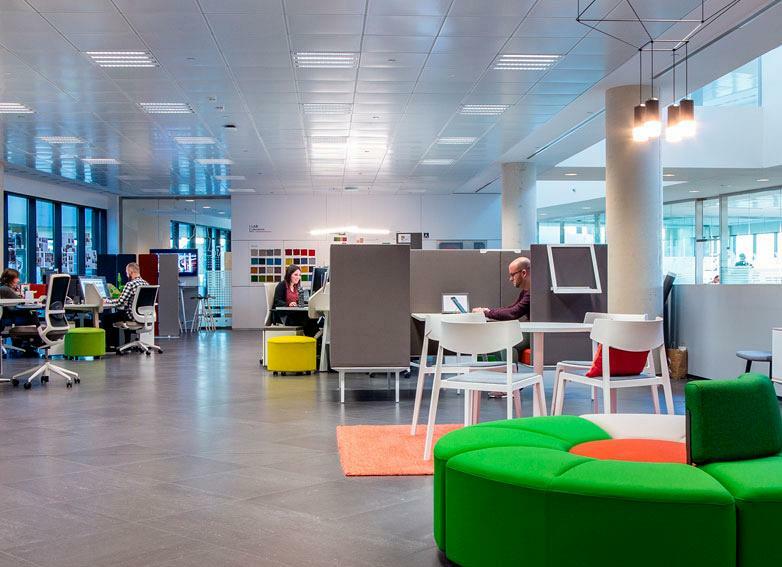 One idea shared by the head of Unispace Iberia, Cristina Martín Díez, and her associate, Rosa Alba Salag, for whom offices are places full of emotions and actions, that go beyond the spaces themselves, must bring to life the company's values that are housed inside. “To innovate, you also have to do it in communication, as what is not communicated does not exist”, stated Soledat Berbegal, who adds that the spatial change must always be accompanied by a much deeper transformation.A change in business culture that Mallol Arquitectos experienced first hand by moving their new offices which were awarded as the best in America by the Archmarathon Awards. “Much more than just a container, the building is now one of our main marketing tools,"says the architect and regional delegate of the Panamanian studio, José J. Gil, who highlights the social nature of a building that acts as a city, environment and neighborhood.Offices, as a passive and private place are already disappearing, and being replaced by dynamic and spaces for exchange. 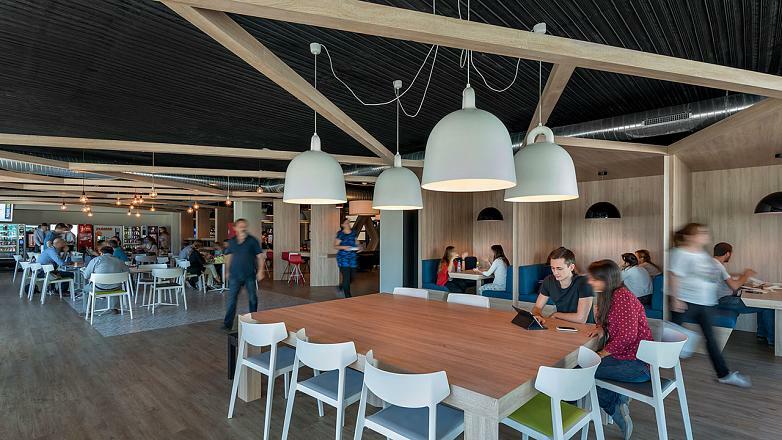 Because, as highlighted by Covadonga G. Quintana, partner in Plug & Go, “the office is no longer just a place to work, it is part of a whole business strategy”.